Integrating your existing ITSM service desk and Configuration Management Database (CMDB) with Data Center Infrastructure Management (DCIM) software is key to getting the most out of both software deployments. CMDBs typically have much of the same information related to ticketing and data center change management processes that are found in DCIM software databases. With a standards-based open approach to integration, you can leverage open APIs and ODBC access to support process flow through and data synchronization with the DCIM database. Once integrated, all change requests across both your ITSM and DCIM software can be handled consistently and automatically, leading to more accurate asset and work order data. Sunbird’s dcTrack® DCIM Operations software integrates easily with your existing management systems, including ITSM ticket systems, CMDB, and asset databases, to help you manage assets, change requests, and work orders more accurately. Sound too good to be true? 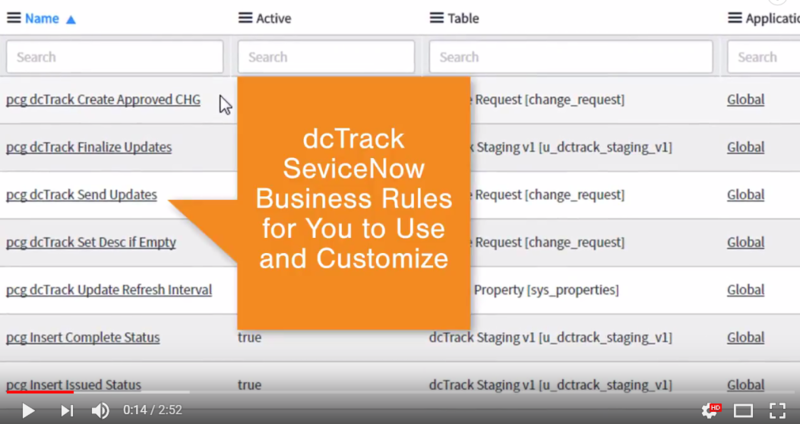 Schedule a one-on-one product demonstration with our DCIM experts to explore how integrating ServiceNow with dcTrack can help you start tracking the real-time status of all work activities and improve the productivity and efficiency of data center operations staff today.